For the last 10 years, the Danish apparel manufacturer, Neutral.com, has been dedicated to developing a platform for truly sustainable clothing, manufactured with respect for both people and planet. The Danish apparel manufacturing company Neutral.com is the result of more than 20 years of experience in the conventional textile industry, which over the years has witnessed a constant pressure for lower prices at the expense of natural and human resources. Neutral.com has developed a sustainable clothing line for men, women and kids, which is manufactured in India and sold to companies and organizations i primarily Europe. With a 100% commitment to certified sustainable clothing, Neutral.com uses organic cotton, recycling waste water and waste and uses alternative energy to power factories while giving poor farmers extra money with Fairtrade and workers proper rights. All processes are certified as sustainable manufacturing and the company is certified according to the best in class environmental, social and ethical standards: GOTS, EU Eco-Label, Fairtrade and SA8000. Neutral.com is committed to action and continuous improvement and has with its Certified Responsibility™ structured the different certificates, allowing the consumers to quickly see if the product is manufactured with regard and respect for both people and planet. 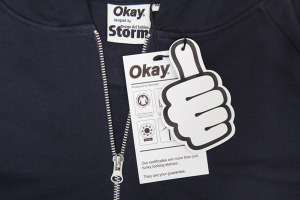 The newest tool to promote sustainability is the Okay Collection where Neutral.com has teamed up with the high fashion retailer Storm to raise awareness about its responsible production method and sustainable consumption. 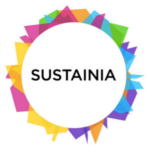 Neutral.com is winner 2013 of the Sustainia Fashion Sector, selected as the most sustainable fashion solution by Sustainia and their advisory board, which included most notably WWF and The Sustainable Apparel Coalition. Frederik Bech from Business Development, Neutral.com became a Premium member of The Social Business Club to develop a better understanding on how large companies work with sustainability.